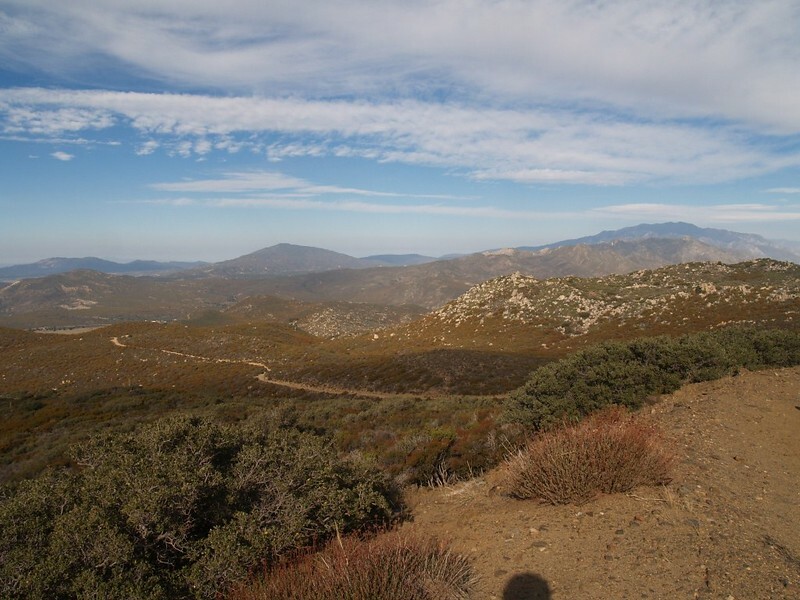 We really wanted to go backpacking, but the mountains were getting cold at night, and we didn’t have a lot of spare time, so we decided that even a one-day car trip to the mountains was better than nothing, and we headed for Toro Peak and the potentially adventurous Santa Rosa Mountain Road. Sunrise from home as we were leaving in the car. 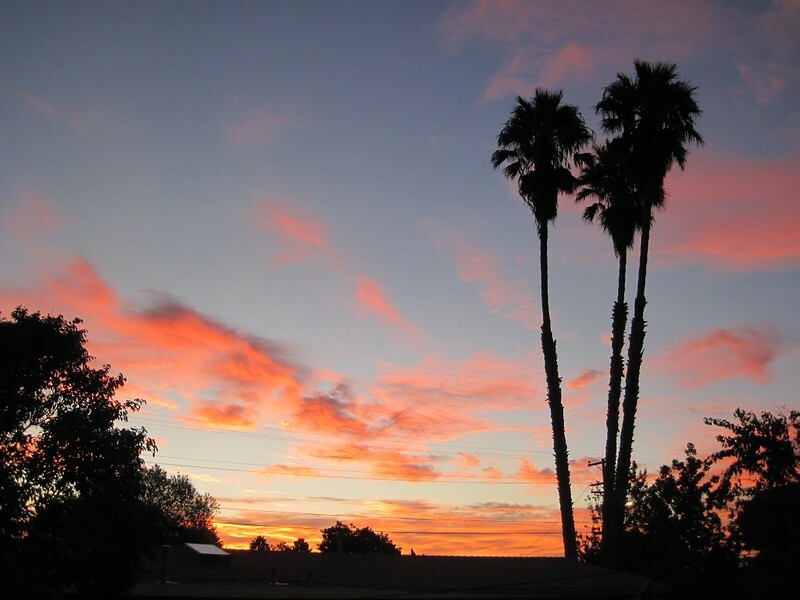 Looks like it’s going to be a nice day! 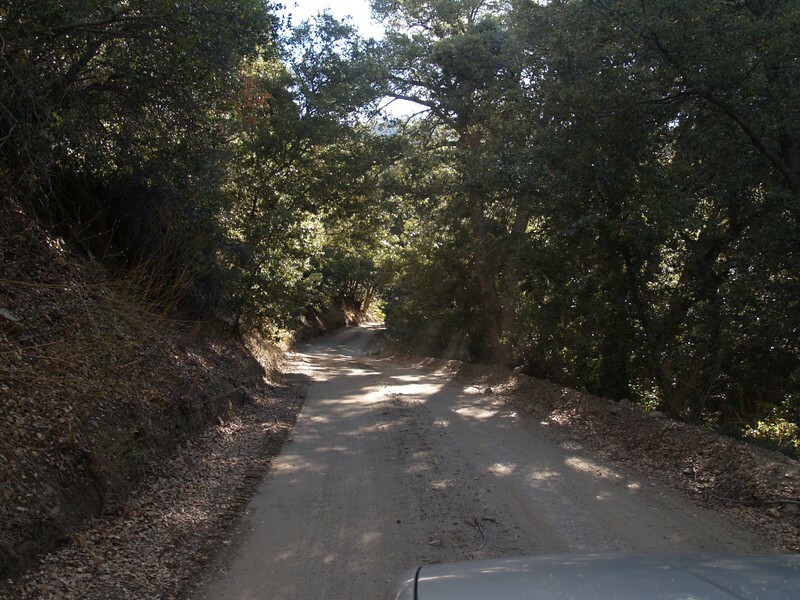 It’s a dirt road, County Road 7S02, and it begins at 4600 feet elevation, starting from Highway 74, about five miles east of route 371, near the town of Anza. It was a two hour drive from San Diego, and we arrived about 9AM. Now the topo maps had the word “4WD” written along this road, so we weren’t too sure about taking it in the Saturn, but our fears were for naught. 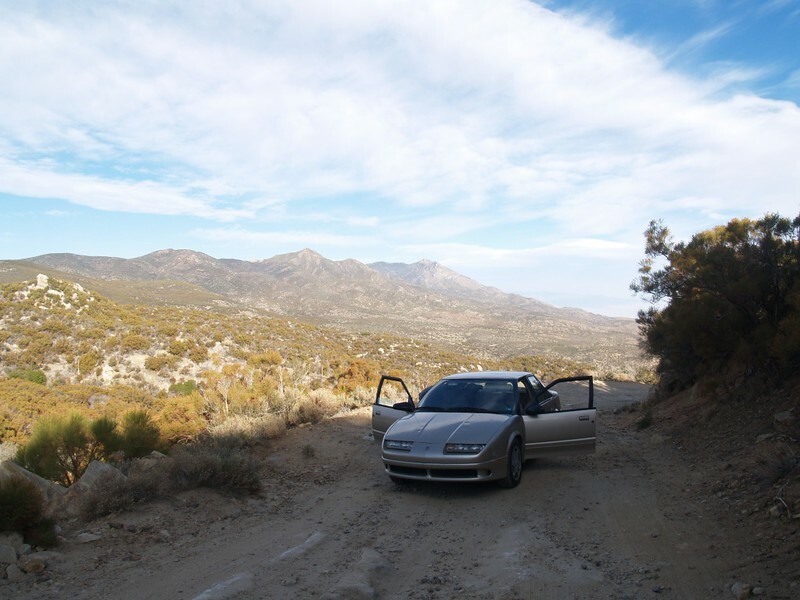 Of course, it helps that we’ve driven this car on other dirt “roads”, so we knew what we were doing. However, this road wasn’t easy. But it had the decency to let you know right away whether you would make it. Indeed, if you can get your car past the first quarter mile you won’t meet up with anything more difficult the rest of the way up. 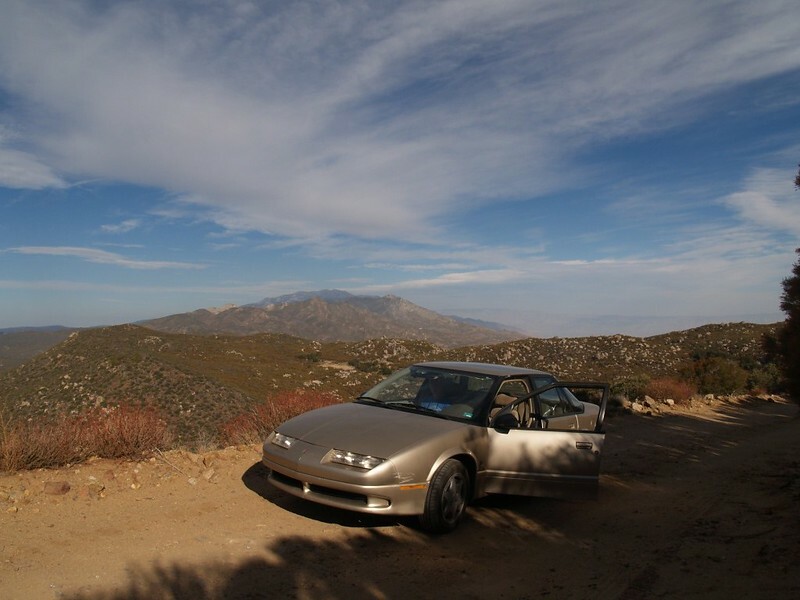 Just the same, it climbs and climbs, eventually topping out at 8700 feet, a climb of 4000 feet in twelve miles. The car’s engine got a bit warm. Oh yes. And it took us over an hour to drive it. 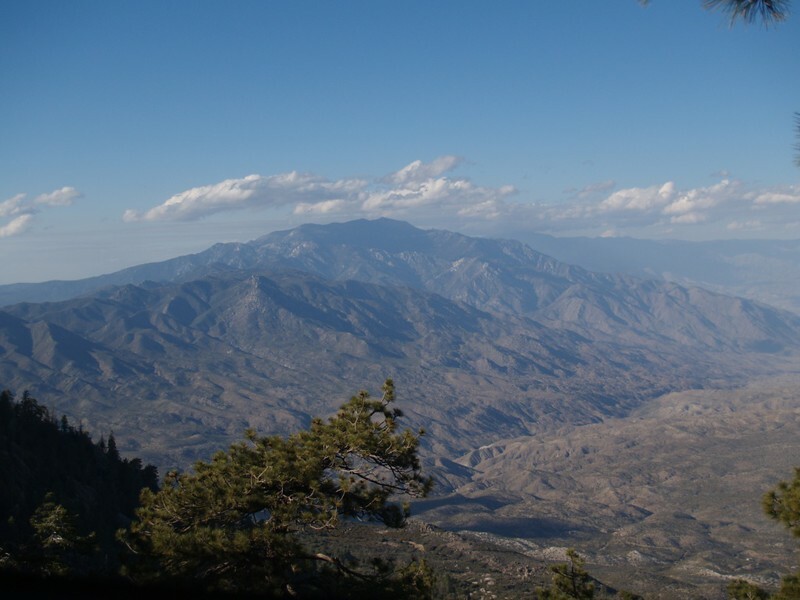 In the beginning, you drive several miles through high-desert chapparal, hot and sunny. This is followed by some lovely oak forest at about 6000 feet elevation. 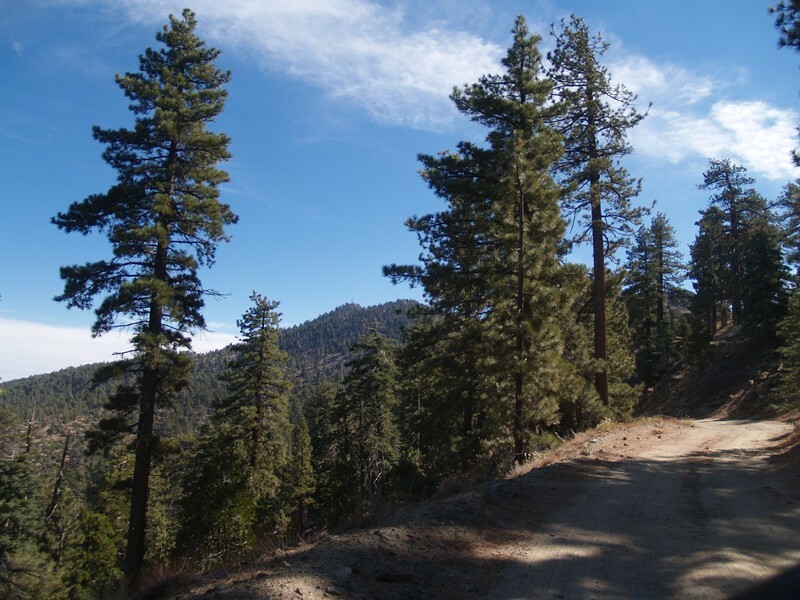 But as the road continues to climb toward 7000 feet and beyond, you enter into a beautiful pine forest, and that is exactly what we were looking for on this trip. 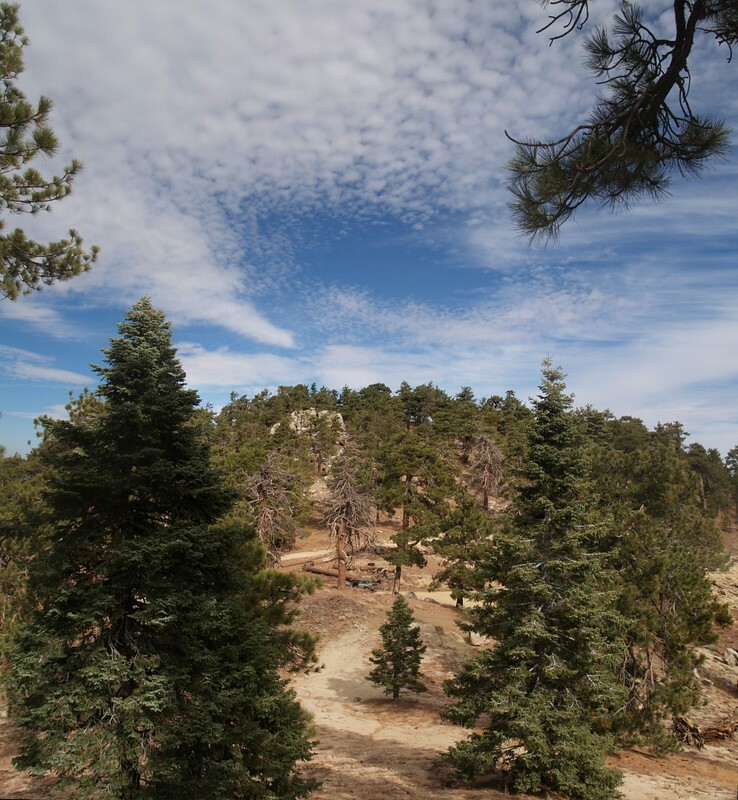 Huge pine trees, blue-blue skies, and crisp mountain air. Ah, yes! Santa Rosa Mountain in the distance. The approach is very long. Getting higher on the mountain. Yes, that’s the road down below. 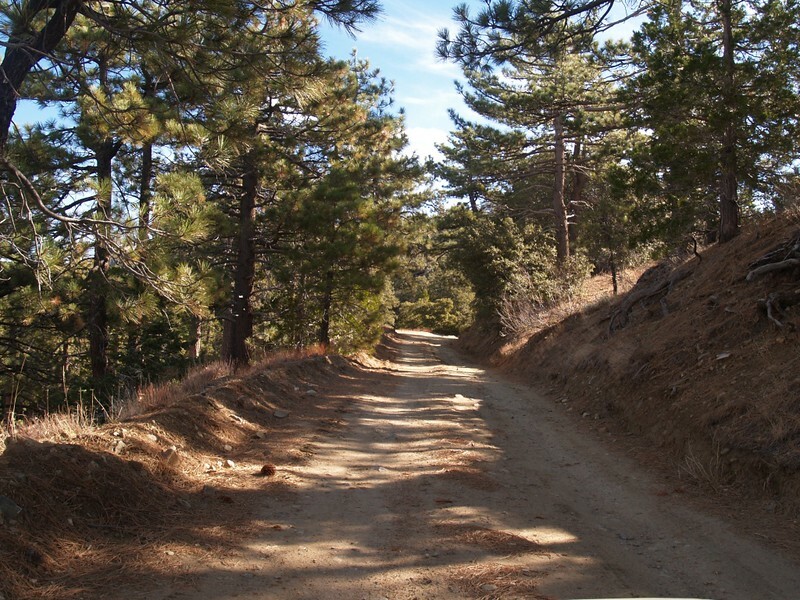 Pine trees and pine needles along the road. We were also using this trip to “scout out” this area, in case we wanted to camp here someday. 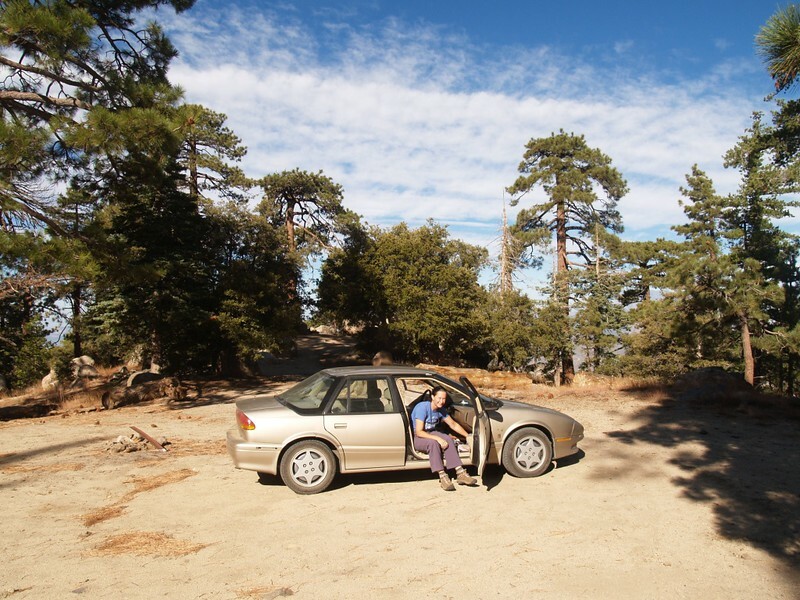 We found nearly a dozen decent spots for car-camping, some of them with picnic tables, and others with only fire rings. 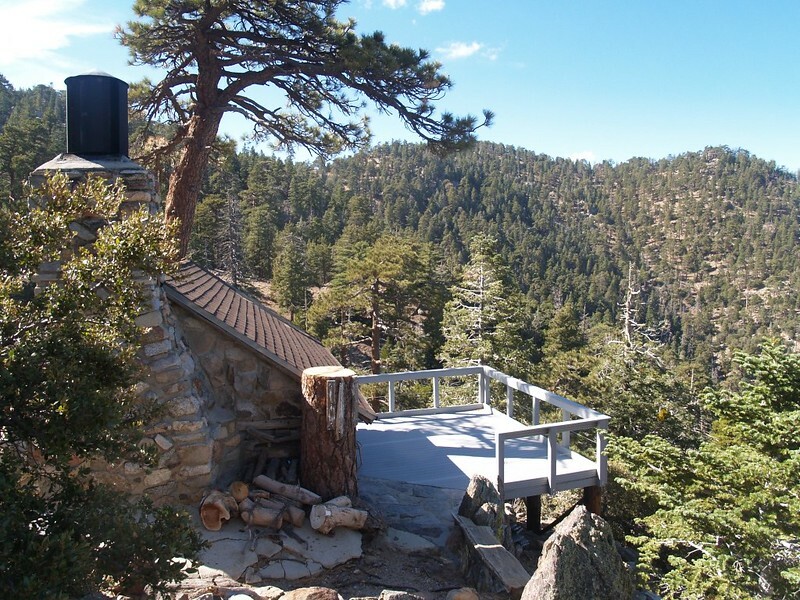 At the moment, fires and barbeques are not permitted, only stoves are allowed for cooking, but there doesn’t seem to be much of any oversight by the San Bernadino National Forest authorities in this particular mountain range. They might not even notice a small campfire. 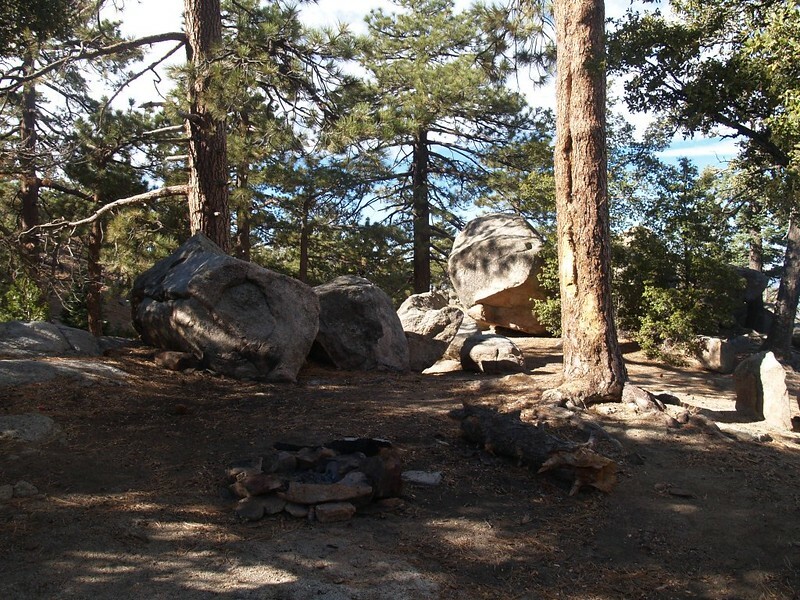 They certainly don’t seem to be spending much time or money there, and the campsites are obviously free for the taking. 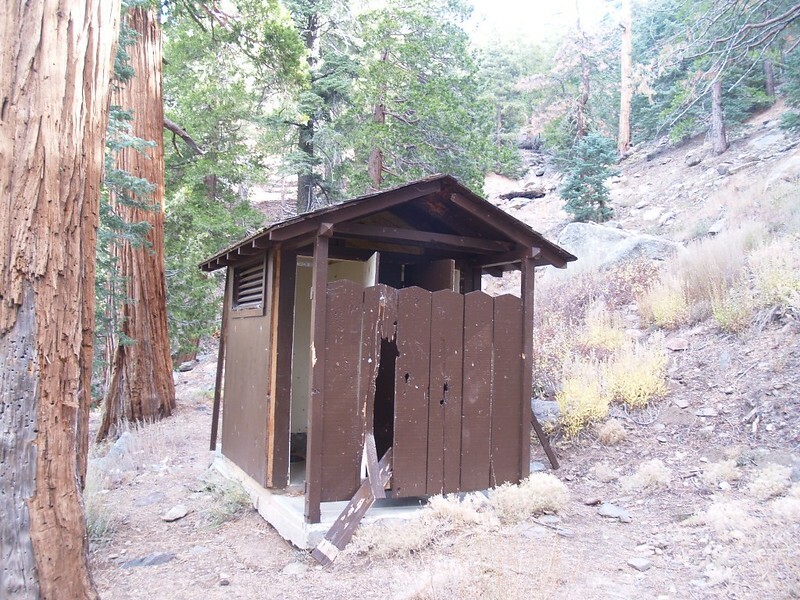 There was one two-door pit toilet in the Santa Rosa Campground that was in extremely sad shape: Boards were ripped loose, one of the toilets was completely gone, there was lots of trash down in the hole, and the doors had been shot numerous times with both shotguns and rifles. Shotgun shells littered the area. The nearby spring was flowing great, however, just pouring out of the pipe, so that helped make up for witnessing the end results of the destruction caused by a small number of inconsiderate drunken hooligans. It sure doesn’t take much time or trouble or thought to damage something nice. Too bad, as this was the only toilet we saw on the entire mountain. But I’ve never liked using pit toilets much. The other campsites we saw were quite nice, and I’m wondering now just how crowded this mountain gets in the summer. 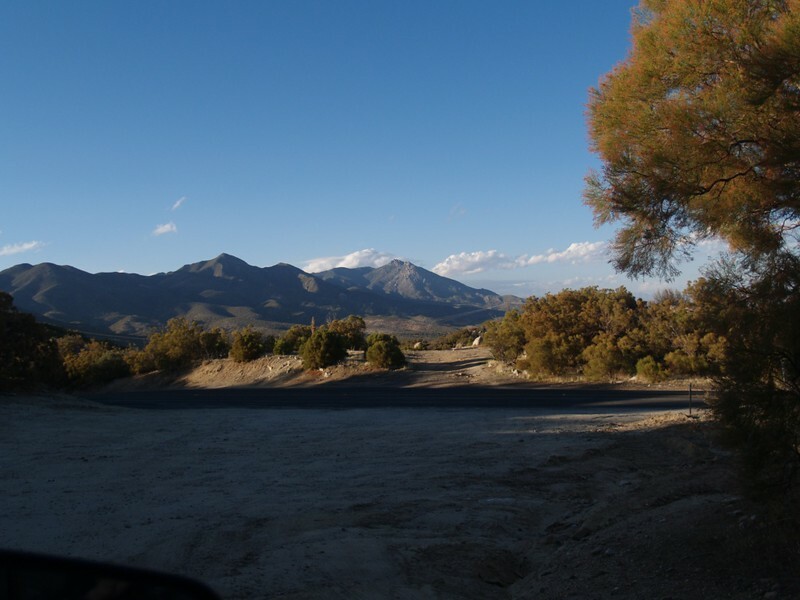 This would be a great area for car camping, what with the excellently-flowing spring. 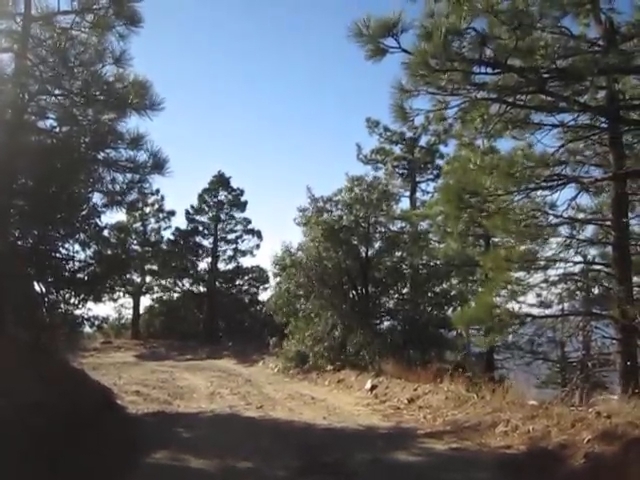 We continued driving around the side of Santa Rosa Mountain. This is the view to the north. 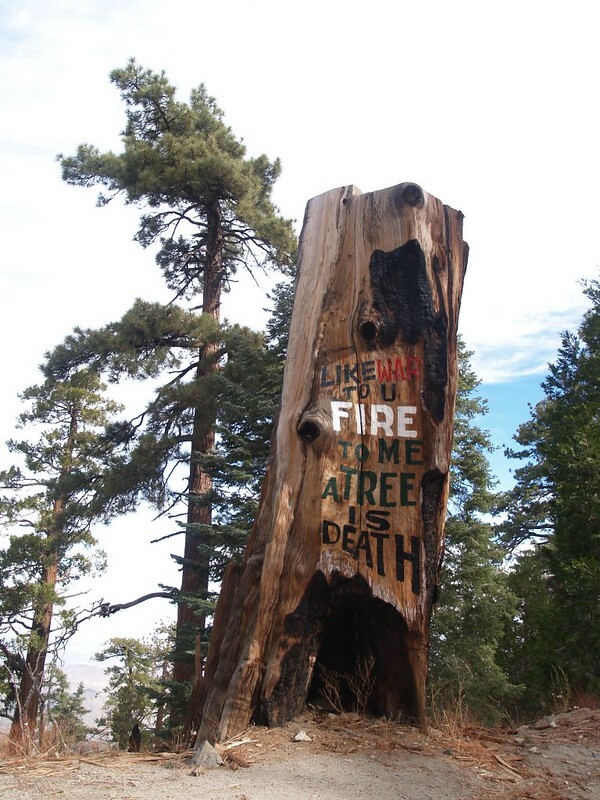 There were a number of these painted tree stumps and rocks along the road, all warning of FIRE. 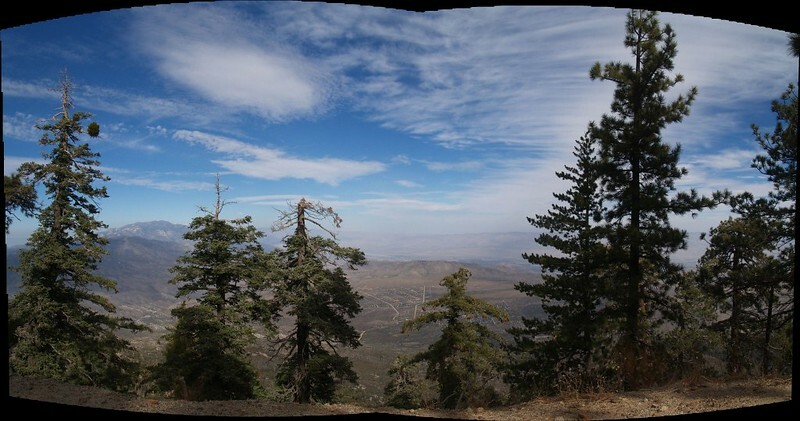 Panorama looking northeast, with Palm Springs in the center. As far as “Peak Bagging” goes, this is pretty easy business. Two 8000+ foot peaks that you can drive to! 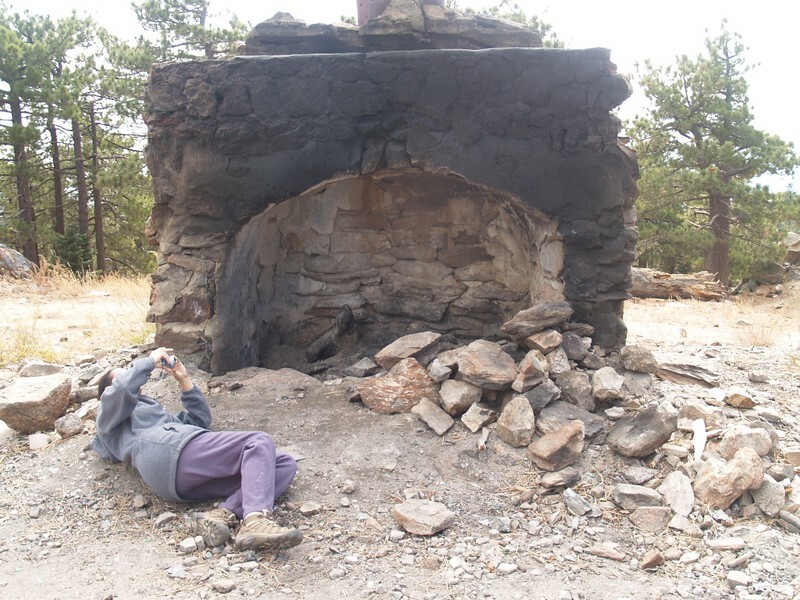 Santa Rosa Mountain had a broad, flat summit with the remains of a cabin on top; the only thing left of the cabin was the huge stone fireplace, complete with bullet holes in the metal chimney sticking out of the top. 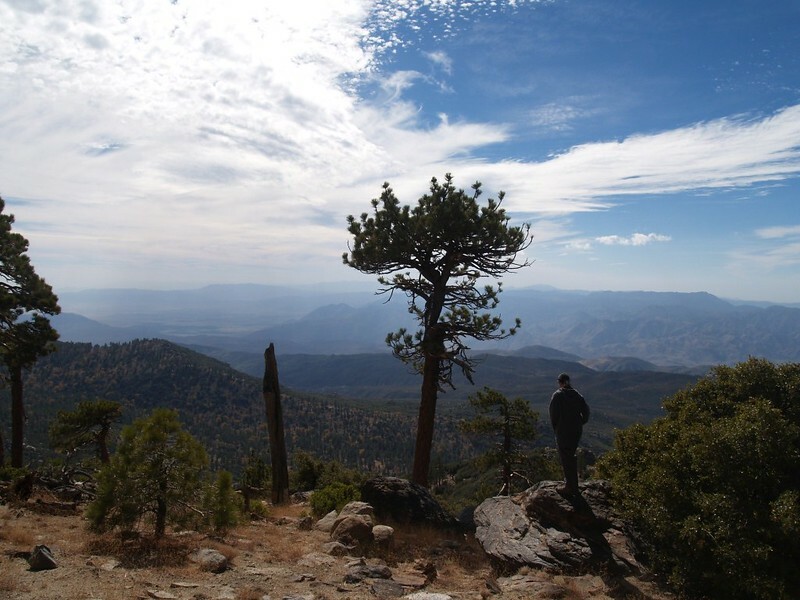 There was a small pile of boulders as a “summit block” to climb on, but there were also many trees, so the view was only marginal. Driving further, we visited some other areas suitable for camping. 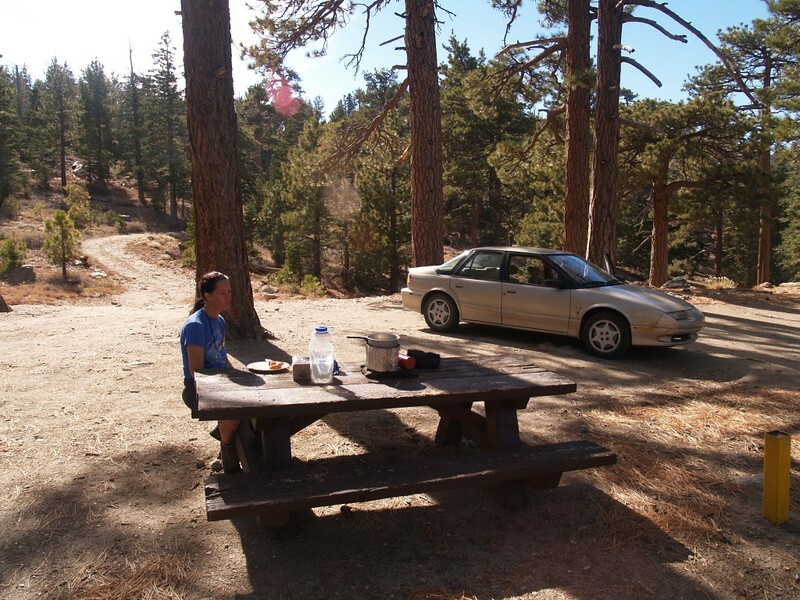 We headed down a less-used side road near the spot which the topo map names “Toro Camp” and found a picnic table and used it as a lunch spot. Afterward, we explored the nearby area on foot. 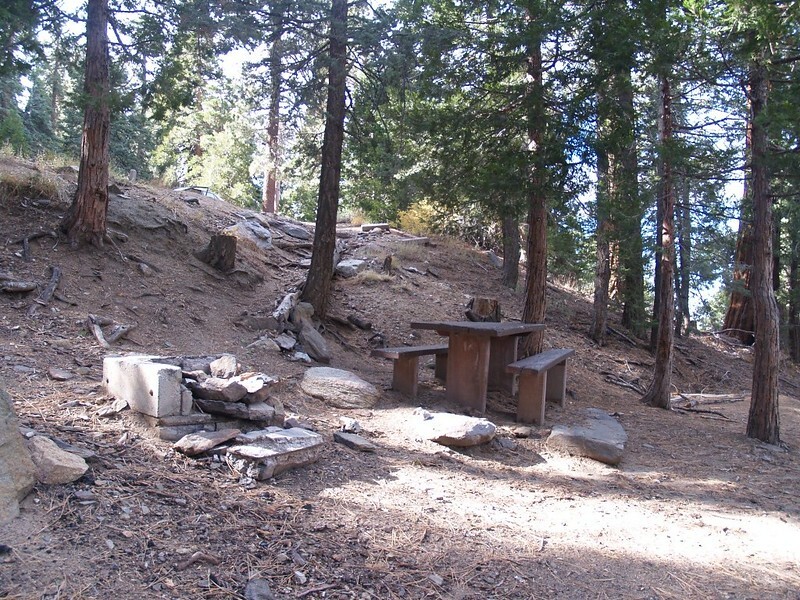 There were a number of campsites on the side-road near Stump Spring. Stump Spring itself was dry, as were the two ten-foot deep wells, which were dug for the nearby cabin, the only cabin we saw in these woods. We explored the area near the cabin but respected the owner’s property (of course). 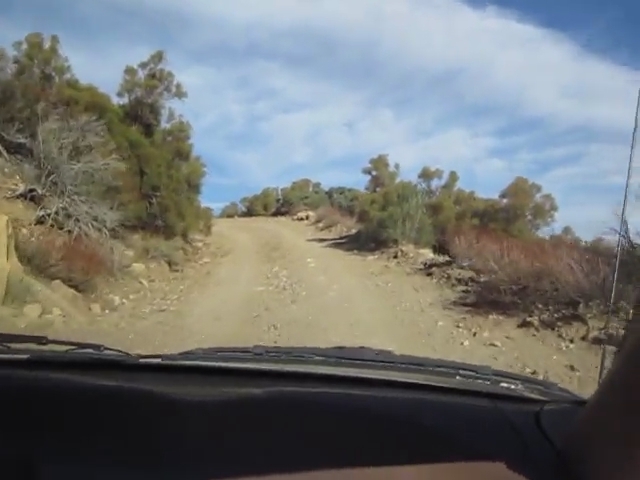 The much tougher and relatively untravelled side-road to stump spring near the Toro Campground. 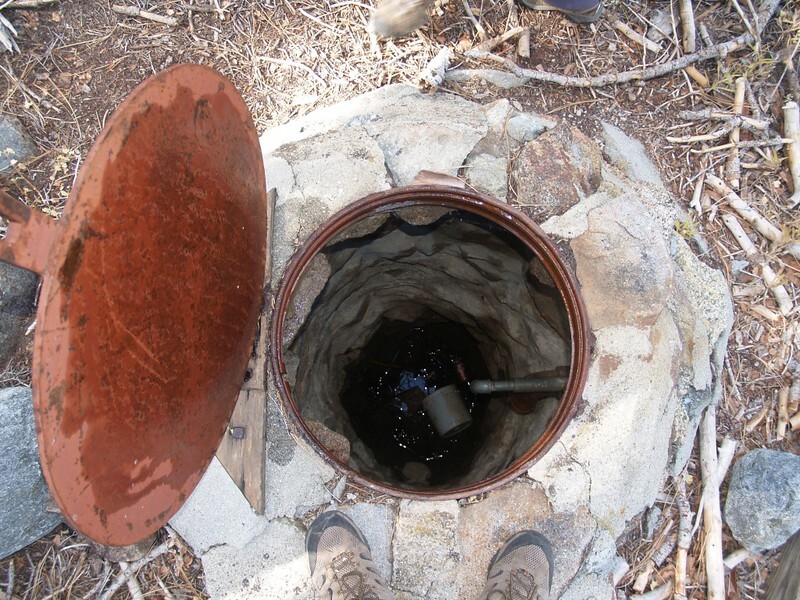 The old well at Stump Spring – rather dry. 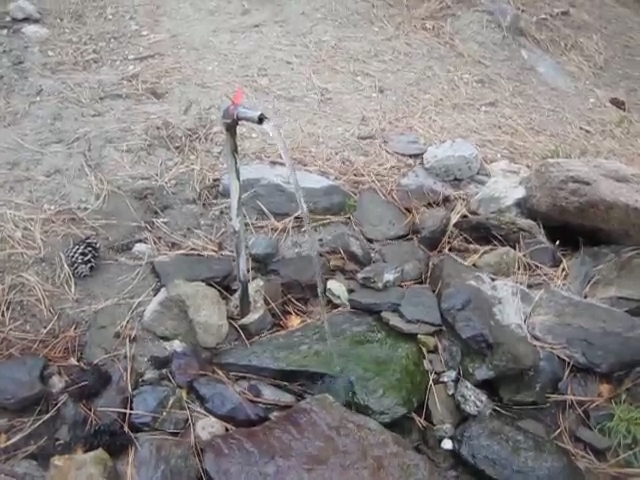 You’d have to work pretty hard to get that water out. 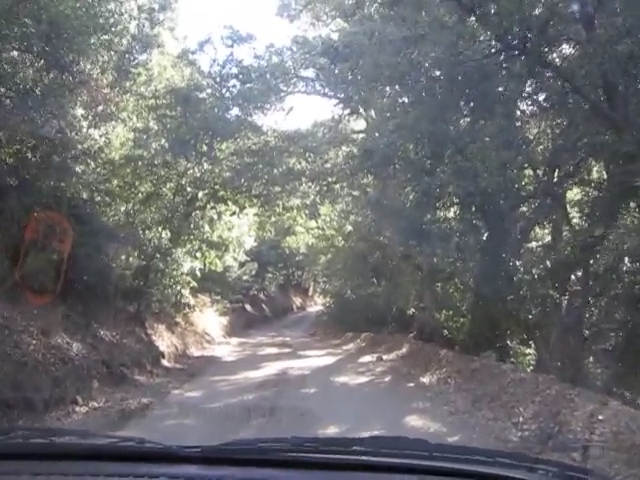 Then we got back into the car and drove further up the main road toward Toro Peak. 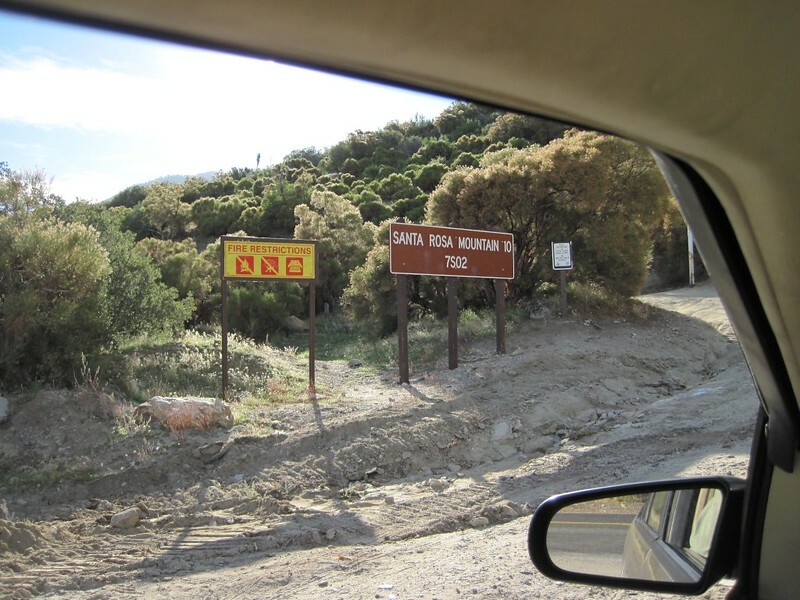 We didn’t drive down the winding side-road near Virgin Spring, as the road looked too rough, but there are probably many more campsites down in that area suitable for overnighting. 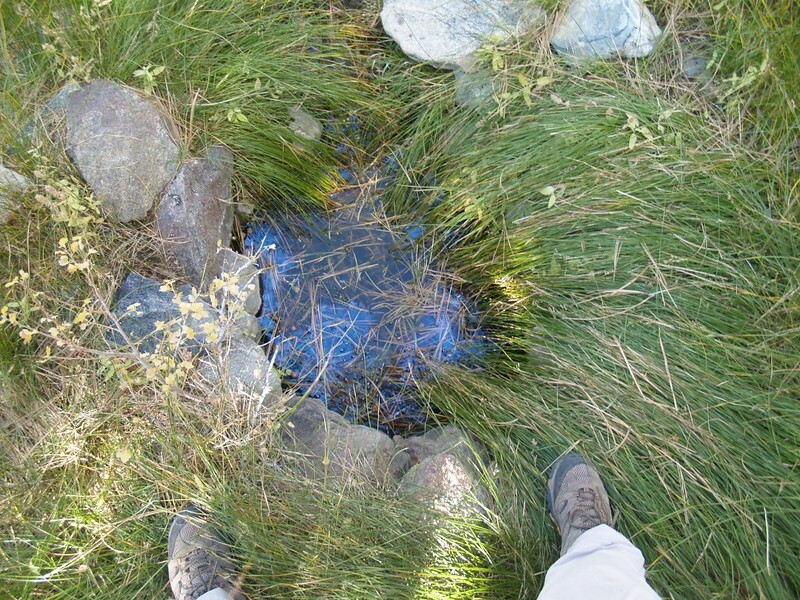 Interestingly, Virgin Spring had some water in its small man-made pool, surrounded by lush grasses. 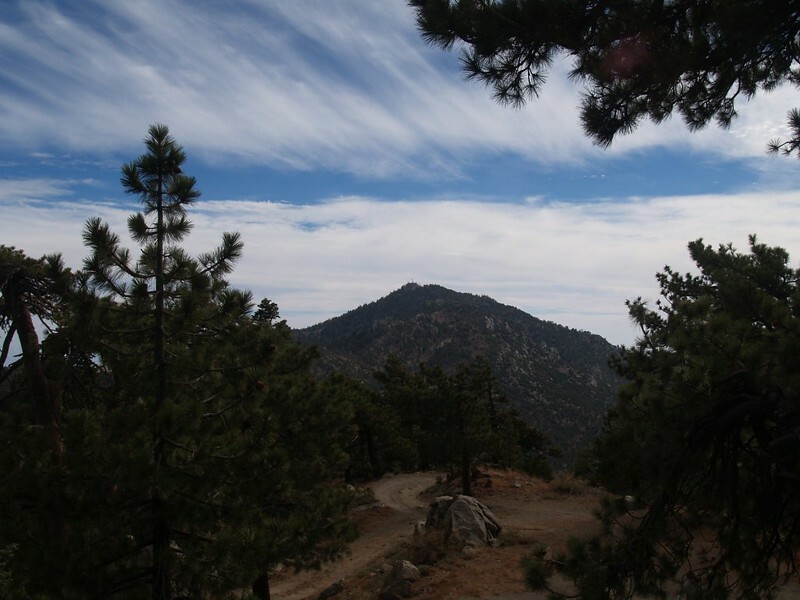 We never found out what the top of Toro Peak looked like. There are radio towers up there, it is on Indian Reservation land, and there is a locked gate with a sign describing the fines and other horrors to be visited upon harmless trespassers such as ourselves. We decided that bagging peaks isn’t all that important, and that it was the view that mattered, so we parked just below the gate and hiked around to the south side of Toro Peak. View back to the car from the gate. We hiked around the corner to the right, as there were no signs there. 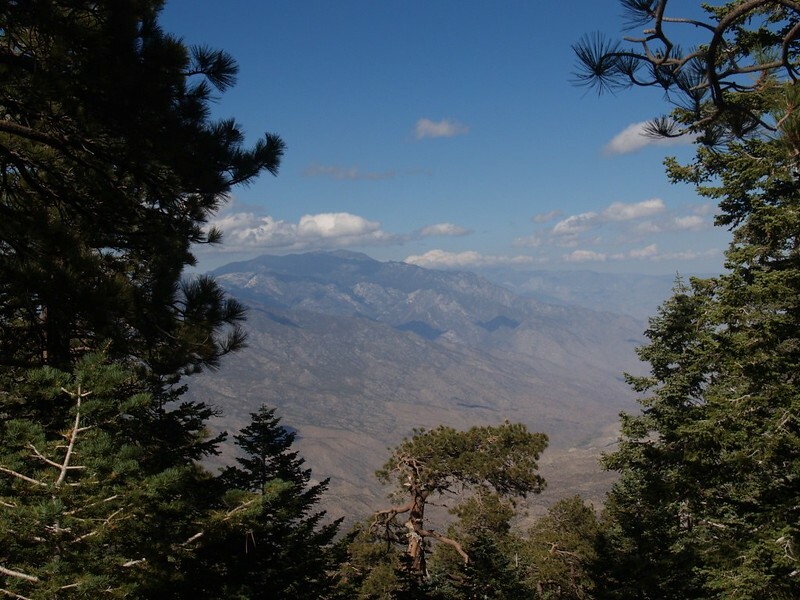 We got some great views out toward Martinez Mountain, Rabbit Peak, Coyote Peak, Coyote Creek, and Borrego Springs. 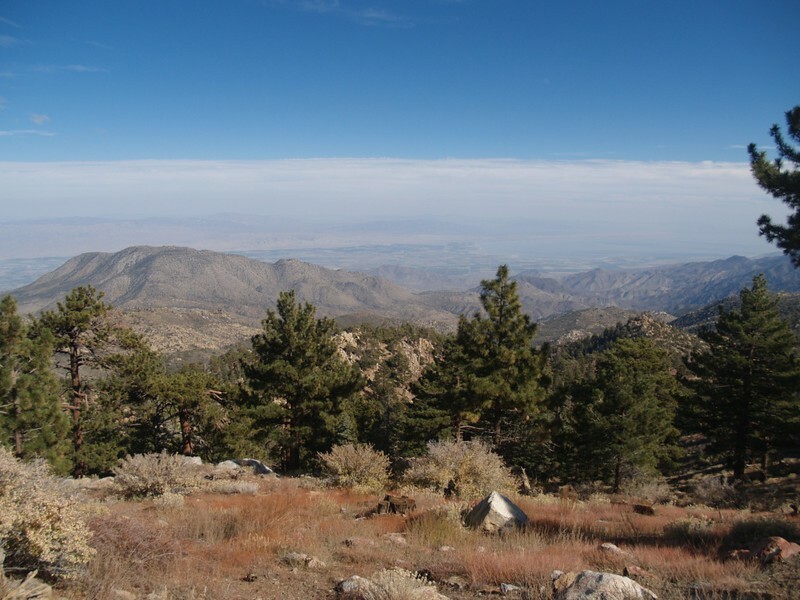 The rest of Anza-Borrego Desert State Park stretched out into the haze to the south. Very nice! Who needs to visit the top of a peak bristling with antennas, radiating microwave energy, anyway? We were happy enough where we were. 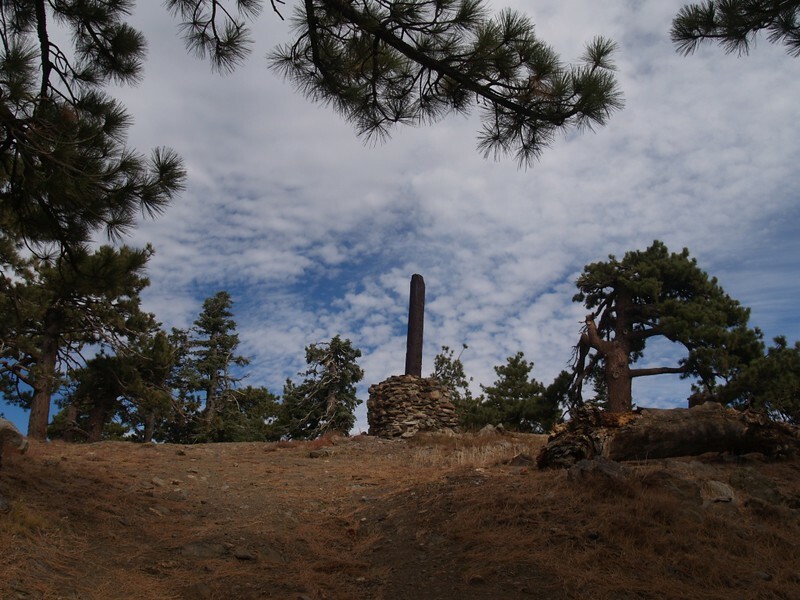 But if I was a hardened peak bagger, I would have dared the top; damn the radiation and the fines! There was a well-traveled trail here, but we left it soon, as it seemed to be heading downhill, southeast along the ridge toward Rabbit and Villager Peaks. 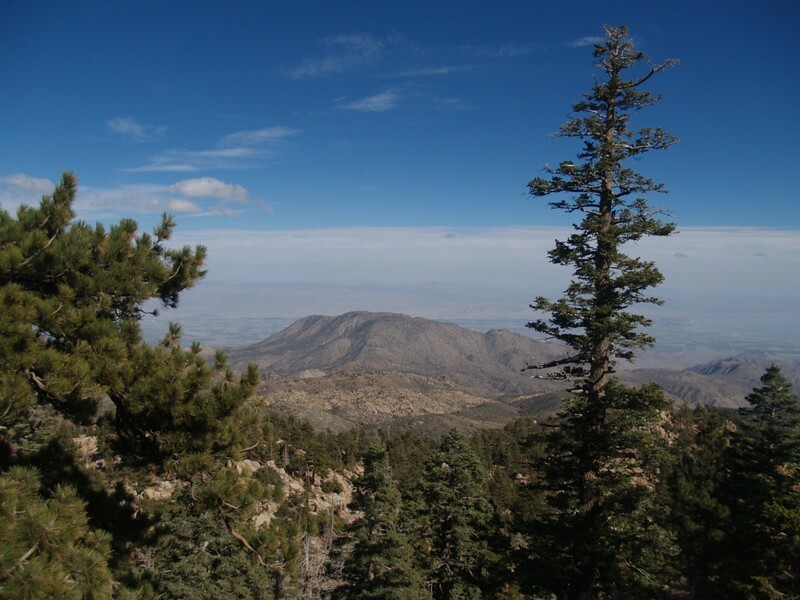 View southeast toward Rabbit and Villager Peaks, from just below the summit of Toro Peak. Panorama southwest. The views were great for photos. 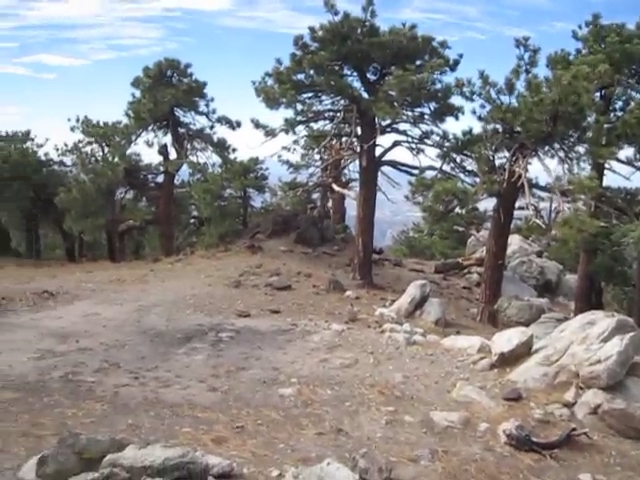 Video looking northwest to the radio antennas on Toro Peak. This is as close as we got to the peak. After that, it was time for the long drive down the mountain. The wind had been picking up all day, and there were gusty dust blasts as we came around the northwest side of the range. The wind was really whipping! We were glad that we weren’t camping up here that night! Back in civilization, as we arrive at the paved Highway 74. As backpackers, we weren’t really sure what to think about this mountain. 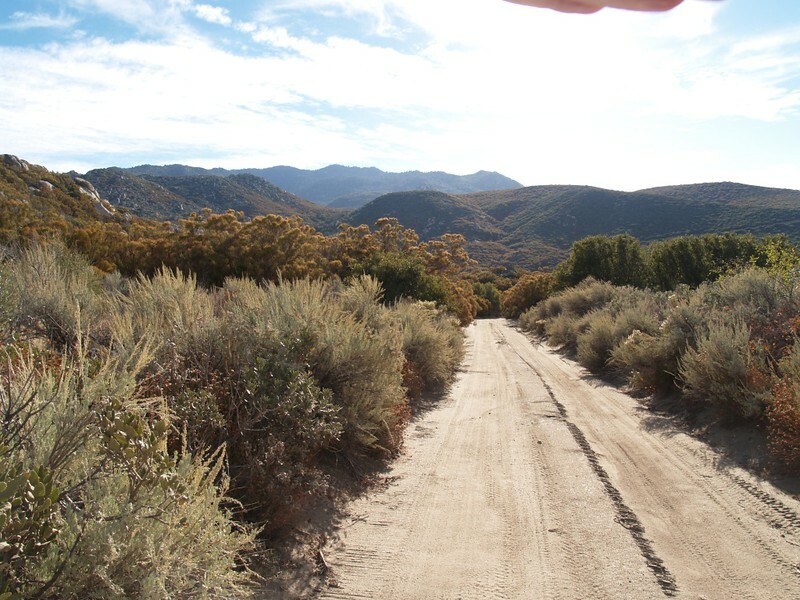 It looked like great country to hike in, and it even had a good spring or two, but the fact that anyone with a decent truck could come by at any time and envelope you in a choking cloud of dust takes some of the joy out of it. 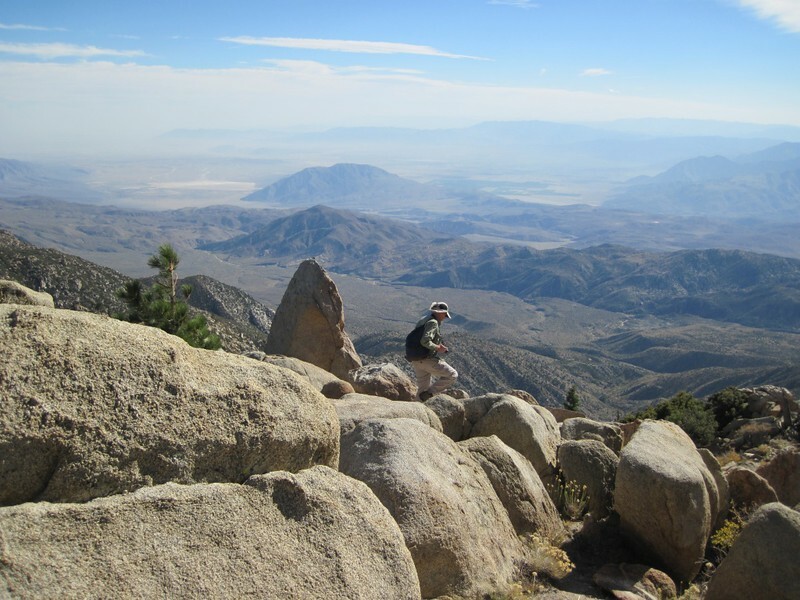 Part of the thrill of backpacking, to me, is knowing that the beautiful views and remote location can only be attained by virtue of hard work and sweat. You don’t see many property-destroying hooligans with cases of beer out in the far backcountry. Remote areas are reserved for the truly deserving. 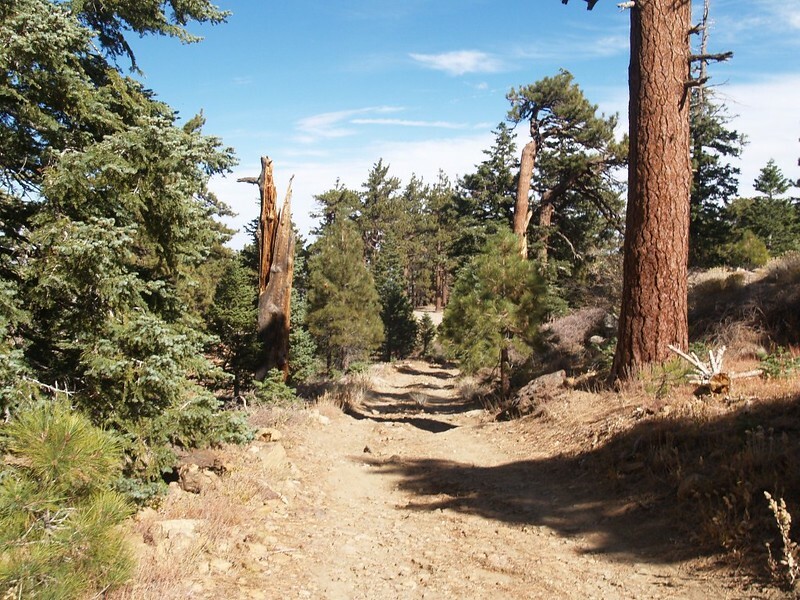 Still, there is at least one trail up the mountain, the Sawmill Trail, which follows another road only part of the way up, and starts in the town of Pinyon Pines. That might be a good hike in the spring, when there’s more water, and maybe even a bit of residual snow. 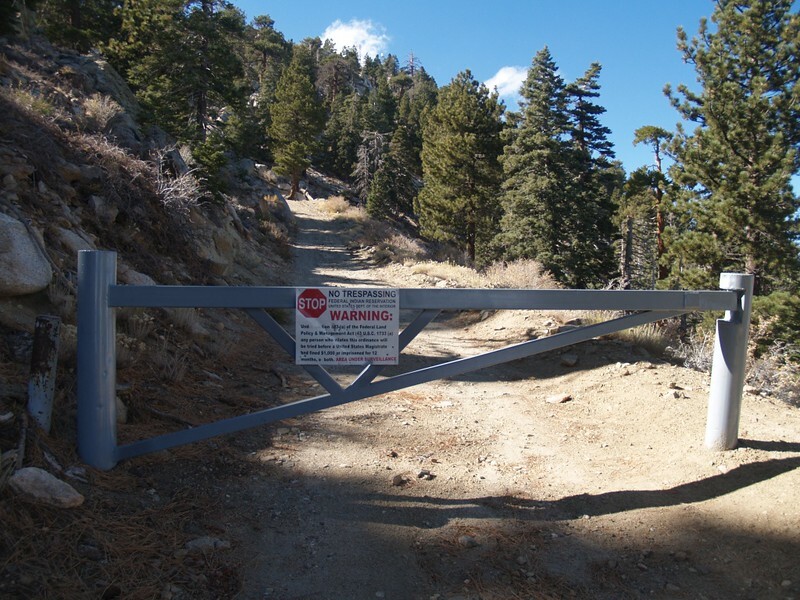 We also saw a faint trail heading down the ridge to the south of the final parking spot near the locked gate on Toro Peak. 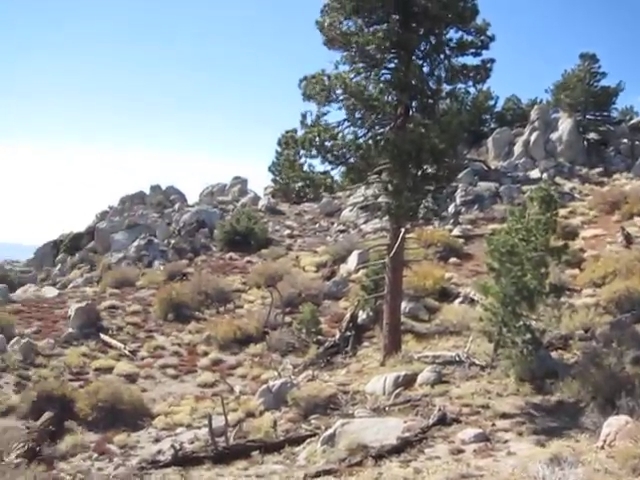 This is in the general direction of Rabbit Peak, but I have no idea if it continues very far, as it isn’t shown on the map. 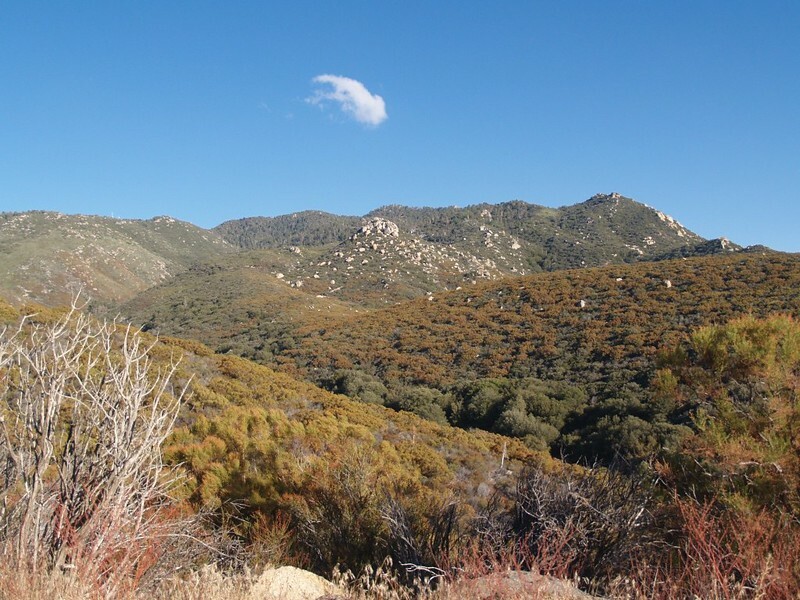 That area out near Rabbit Peak is extremely wild and remote. 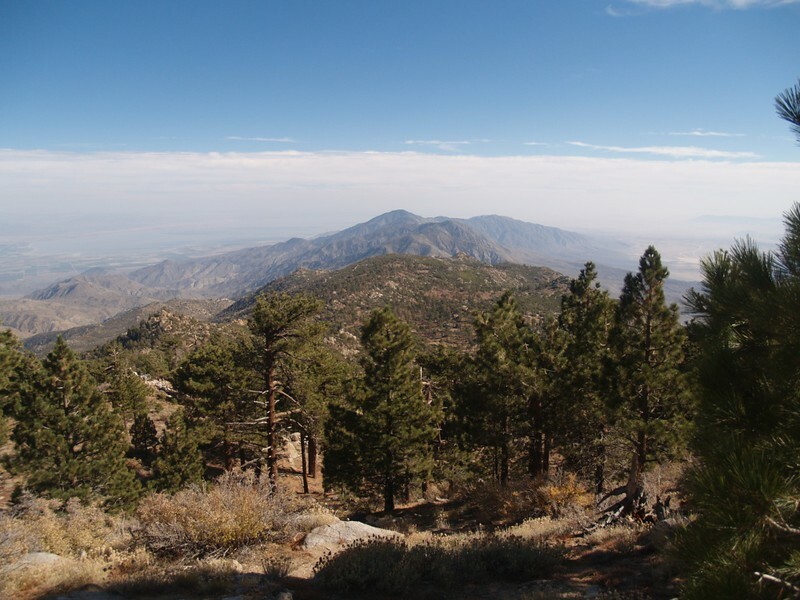 Possibly a two-car hike could be done from here, but there might be considerable bushwhacking out there to the south in the Anza-Borrego Desert. 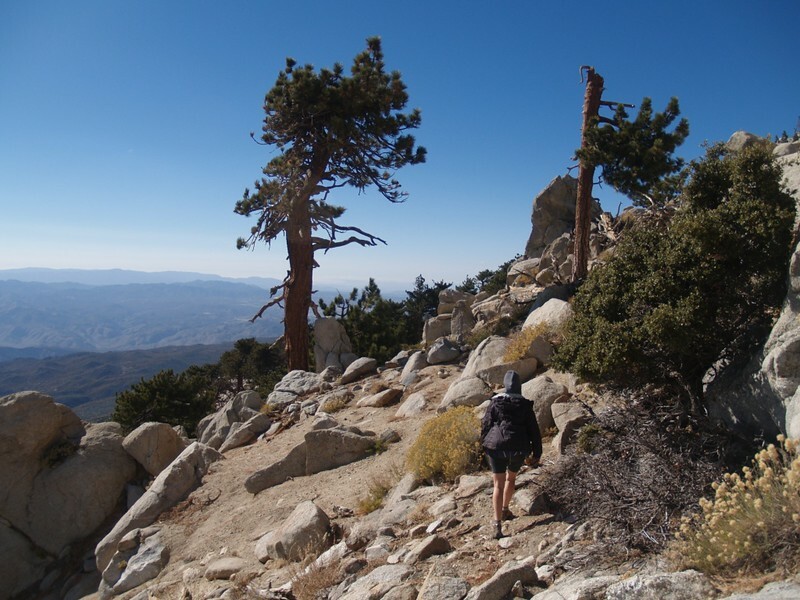 Up in the pines and down in the lower desert would be easy bushwhacking, but that chapparal layer in between would be miserable. And the topo maps show very few springs and seeps in that direction, so you’d have to be a strong, fast hiker, carrying lots of water, to even attempt it. The weather was interesting this trip. The day started with a lot of high clouds as a front was arriving, and as the day progressed (and our altitude increased) the breeze kicked in. 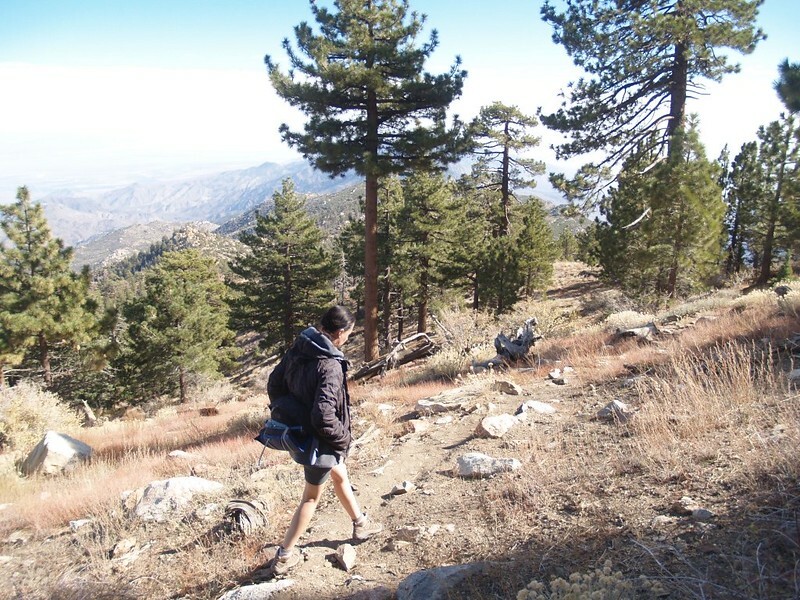 It was a southerly wind, and it was stongest when we were hiking around the south side of Toro Peak. There were a couple of gusts that nearly blew me off the rocks I was standing on. The pine trees in that area were obvious veterans of extremely strong winds, as they barely stirred their short, study branches in what, to them, was only a mild breeze. 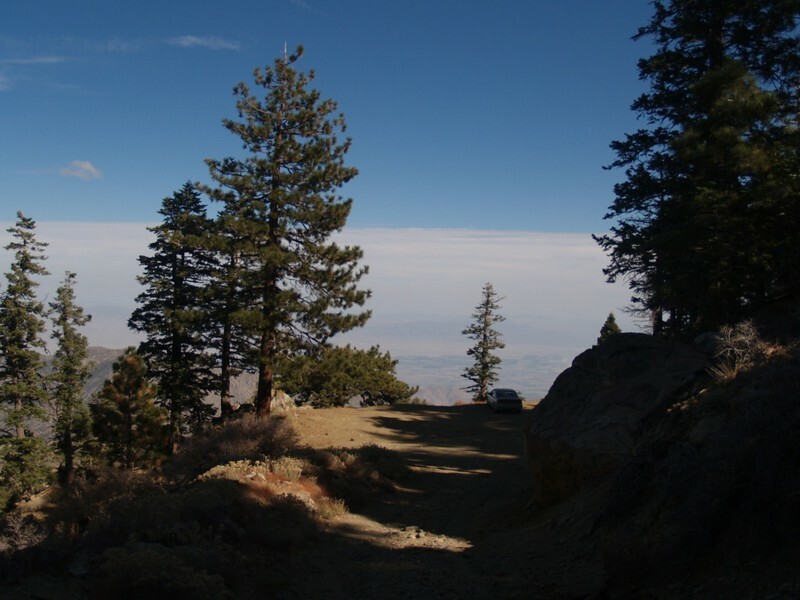 Most of the high clouds were gone by late afternoon, and there were only a few clouds still showing in the distance to the north, hovering over the summits of San Jacinto Peak and San Gorgonio Mountain. The temperature stayed cool all day, and I was glad that I was wearing some thermals, as well as a wind-proof jacket. If I had been backpacking I wouldn’t have needed them, as it was what we call “Good Hiking Weather” all day long. We met a couple who had camped out the night before on top of Santa Rosa Mountain, and she said that it was cold in the morning, and breezy at night, but that it was quite nice inside her tent. And that’s what really matters, when you’re camping. All told, we spent seven hours driving, hiking, exploring, and relaxing. Plus two hours each way on paved roads getting there and back. It was a long, but totally enjoyable day in the mountains. An interactive topographic map of the road and hike (our gps track) can be found on my CalTopo Page. 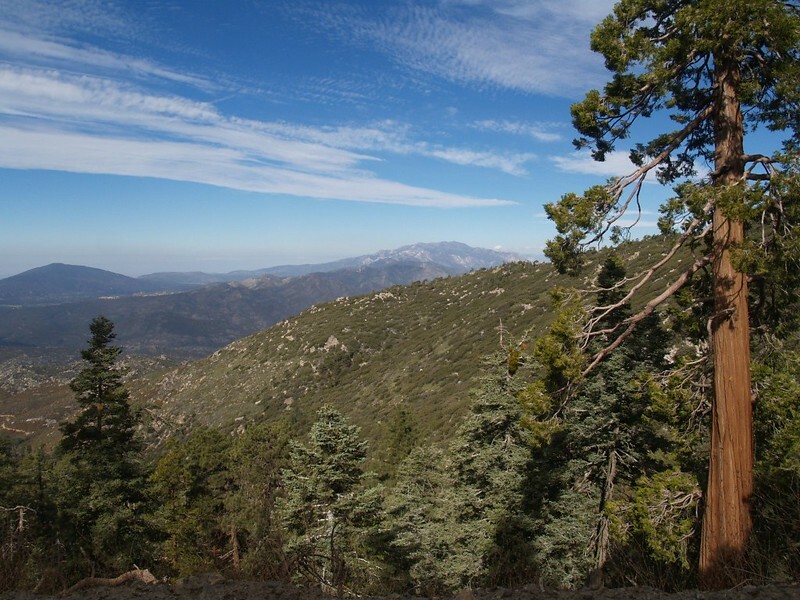 This is a wonderful description of your trip up Santa Rosa Mountain. Nostalgic too since I made a similar drive in a passenger car — a 1970s something Toyota Corolla years ago when I was in college. I remember picking up a backpacker about a quarter of the way up the mountain. However, I had to let him off about half way because my car would not go another inch with the extra weight. That’s really pushing a vehicle! The views are breath-taking, as you described them. Vast distances, profound silence and cold, crisp and clean air. I brought a copy of one of my favorite books — Mary Austin’s “Land of Little Rain” to read during my stay. The match of reading material and environment was perfect. Unforgettable! Thank you for this. You guys are awesome!